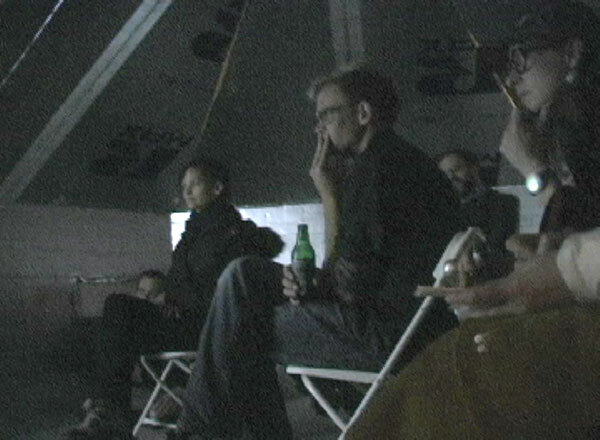 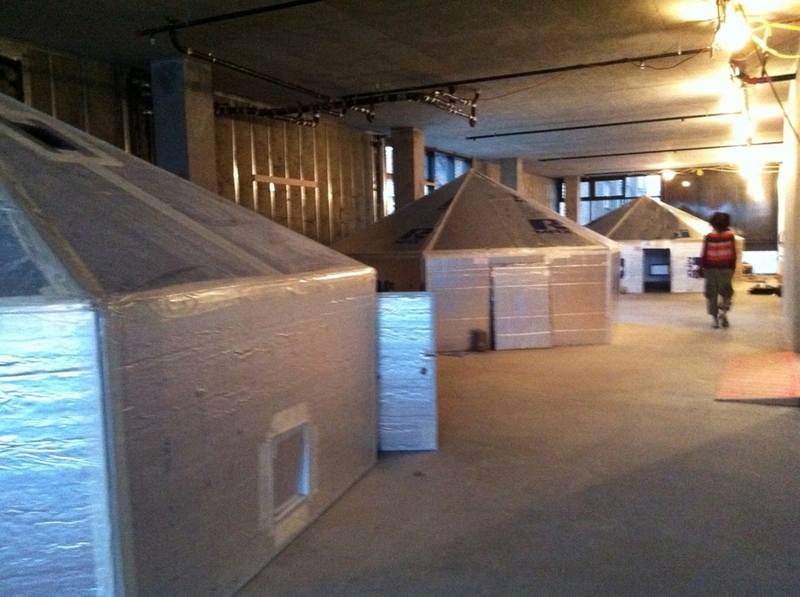 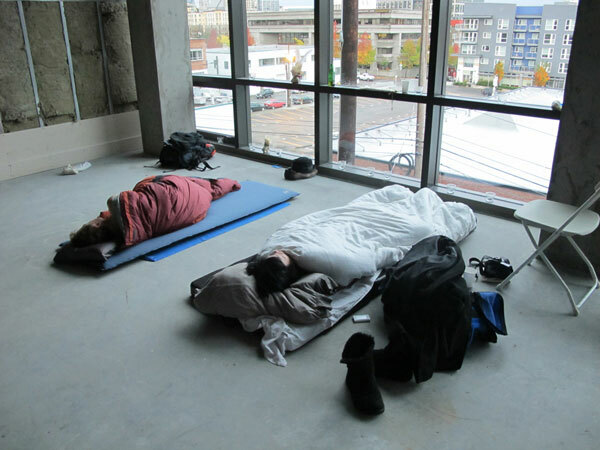 Sleeper Cell Training Camp, a commission from Open Satellite and City Arts Festival, provided over-night “special ops” training in tactical dreaming, open-source nomadic structures, and civic-squatting against the backdrop of a high-end condo construction site “on hold” because of economic downturn. 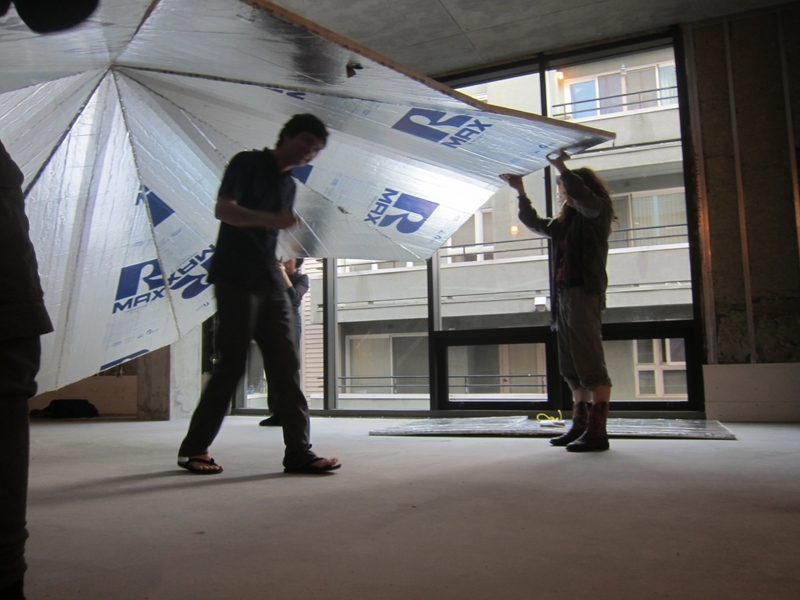 This participatory project forged routes through collective dreaming toward social change. 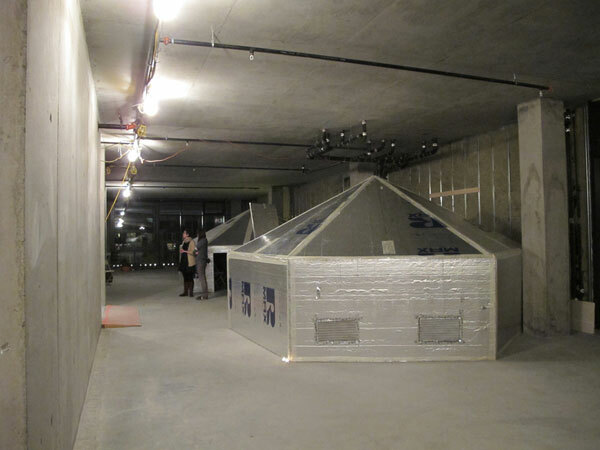 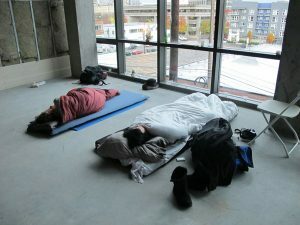 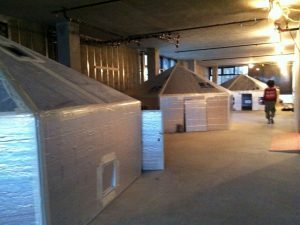 At the close the project, the “sleeper cells” were donated as provisional housing (pre-filled with positive dreams) to Seattle’s homeless community. 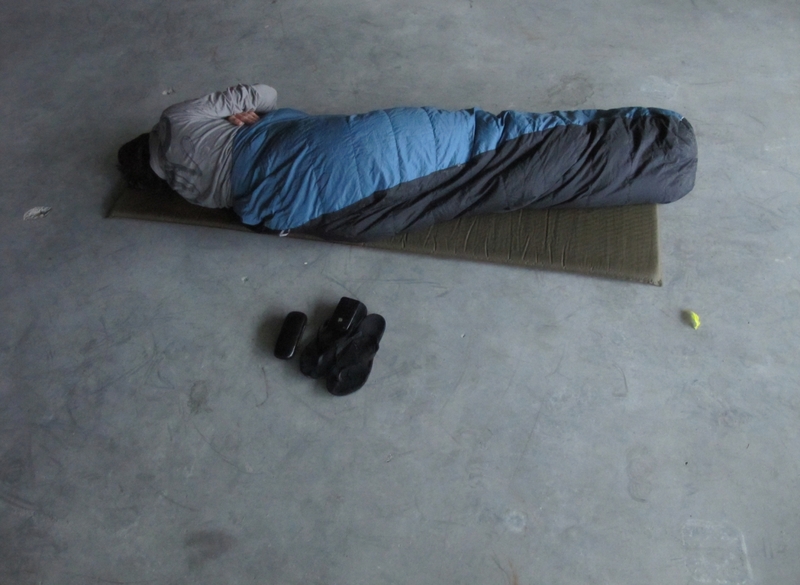 Amid group discussions about “tactical dreaming,” participants learned to construct “sleeper cells” from foam insulation panels and filament tape, crafted “dream pillows,” and composed a Sleeper Cell Training Camp anthem. 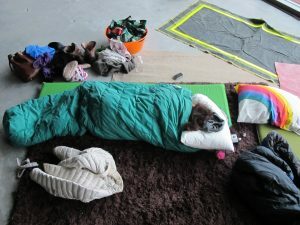 Dreamers also received a “sound bath” courtesy of Bay-Area audio artist Quiet American and listened to a Skyped-in audio transmission from a sister cell in Los Angeles. At sunrise I photographed the participants in their last moments of sleep, creating a record of their “sleep compositions” – their improvised arrangements of bedding, clothes, and personal items.